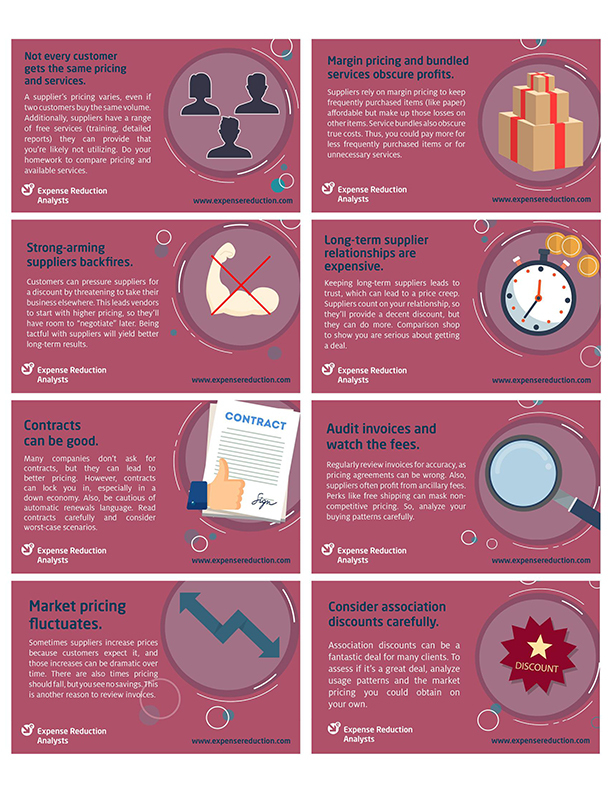 Home > News > ERA Infographic: What Suppliers Don’t Want You to Know! ERA Infographic: What Suppliers Don’t Want You to Know! Over the past 8-weeks, we’ve shared a series of helpful tips via our social media channels as part of our “What suppliers don’t want you to know!” campaign. From tips on price management and contract negotiation to auditing marketing trends and long-term supplier relationships – and more, check out our full-series infographic below. For the latest news, tips, and insights from ERA, make sure to follow us on LinkedIn and Twitter!